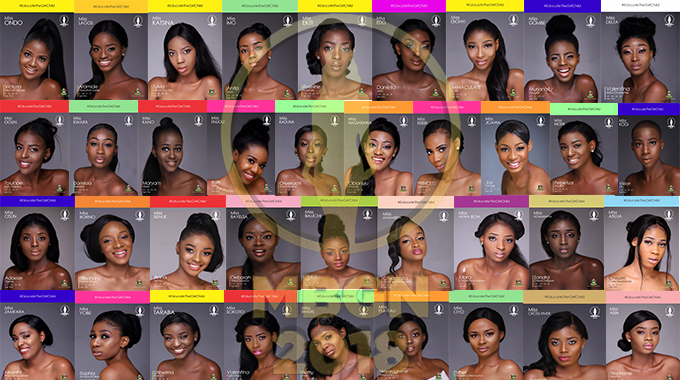 After a thorough screening exercise in Enugu, Port Harcourt, Abuja and rounded up in Lagos, 37 beautiful ladies scaled the hurdles to contest as finalists for this year Most Beautiful Girl In Nigeria pageant. As this year marks the 31st anniversary of the award, the main event will hold on September 21st at the Gabriel Okara Cultural Center, Yenagoa, Bayelsa, where a new queen will emerge. Before then, the beautiful ladies will be in camp where they will be trained and groomed on how to become a winners and most especially how to become the Most Beautiful Girl in Nigeria.